How we become mothers looks different for everyone. I love to listen to women’s stories because each one is so unique to them. My husband and I were married over twelve years before we had our son. We were trying for nine and a half of those years, we did six years of infertility treatments and had even been approved to adopt. My husband is in the Navy and so it keeps us on the move a lot, especially lately. After all of the ups and downs of infertility treatments, adoption paperwork, interviews and everything that goes with getting approved we received our letter to be listed as an adoptive family three days before we moved out of our house in Chesapeake, Virginia and moved to Honolulu, Hawaii. That meant that our home study approval was no longer valid. While checking into the hospital in Hawaii the doctor told me that I should take a test during my next cycle and the test may show some other options while we wait the nine months to get into their IVF program. Well, my cycle never came because I was pregnant! I was stunned because of everything we had gone through to get be approved for IVF. However, I would not let myself get excited just yet because I had been told in Virginia that I had a ninety percent chance of having an ectopic pregnancy. Let me tell you the day that I saw that baby where he needed to be, my heart soared and I was so grateful. I never thought the day would come. We waited to tell our family once we hit the second trimester, this was easy because we were at least three thousand miles out in the middle of The Pacific. It was fun to see everyone’s reactions after so long of waiting for us to have a kiddo. Once I knew my due date and did the math it was just over a month after my husband was scheduled to leave for deployment. Our hearts sank, because my husband would not be there to experience the birth of his child. We continued to prepare for our little monkey’s arrival between my husband’s ship coming and going for sea trails. I kept telling myself that I was not the first woman to have to deal with this and I will not be the last. So, just like any momma about to give birth I made a plan and found people that I was comfortable with to have in the room with me. Our little monkey, came February 2015 just over a month early. My husband was still out to sea doing more trails with the ship, but he arrived home the next day with just enough time before deployment to take his paternity leave. He deployed February 14th. This was not our first deployment, but it was definitely the hardest one for me to say goodbye to him. I was so scared, overwhelmed, exhausted, you name the emotion I was feeling it! Ok so maybe some of it was postpartum hormones, but hey what are you going to do. 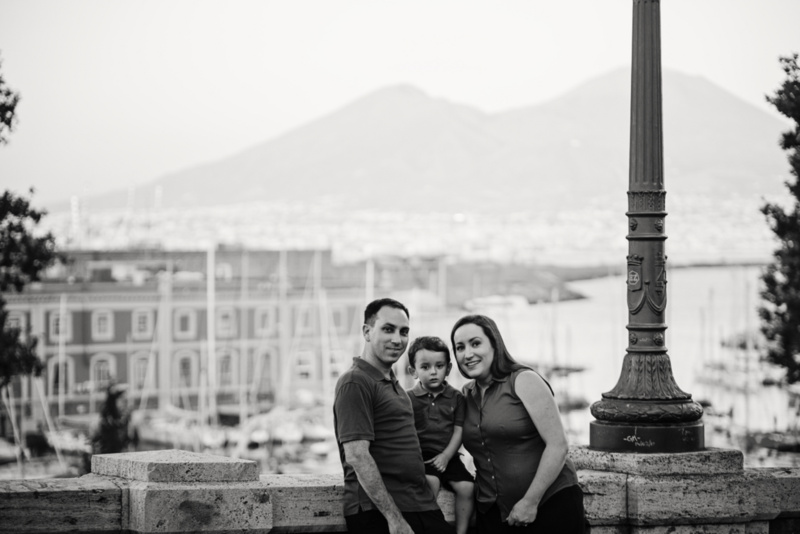 Shortly after my husband left on deployment we received orders to Naples, Italy. So, while trying to figure out how to be a new mom I worked my way through the hoops that you have to jump through to move over seas. It was a crazy time to say the least. However, I learned to reach out and ask for help from people that I barely knew, but they offered and I needed it. It was hard, humbling and man what a blessing. I found strength that I never knew that I had. I learned that just because there are all these suggestions and “should do’s” that I know what works best for me and my kiddo and it is important for me to stand strong and confident in that. I am so grateful for that seven months of deployment but I am so glad that it is in the past. Italy brought it’s own struggles, not having access to the same things that I had gotten used to as mommy comforts in the US. Having a ten month old and having no idea where to take him for activities. This was the first time that we had done a move with a kiddo. I ended up waving the white flag of surrender and hired a mommy’s helper, she was the best thing ever. She would come and love on my kiddo while I was able to put the house together, take a breath, read a book for a min or whatever. Ladies, the best thing ever, ever, ever, was when I finally broke down and hired a cleaning lady. Every two weeks she came with her helper, they spent three hours polishing the apartment from top to bottom while I sat and played with my kiddo. Mind you, I could not get the service here or at least for the same price versus value, but in that moment that is what I needed. To think I initially felt guilty for it, that is crazy. It gave me life when I really needed. We have moved two more times since then. Before my son turned three he had five homes and moved four times. It was a crazy couple of years to say the least and I am grateful that things have calmed down, for now at least. Side note, this is not typically the rotation for most military, it is just happened for us that way because of where my husband was at in his career path and then he changed career paths. I have learned you will be a happier momma if you find something that makes you happy. Lately for me it is sleeping in when my husband is home from work. You are the best momma for your kiddo, even on your worst days. When you feel refreshed you can be a better momma. Don’t be afraid to ask or accept help when you need it, it can truly be a blessing to you and the other person. Try and find other momma’s who have kiddos that are similar ages to your kiddos. I find that I feel a little less crazy when I see another momma of a three year old dealing with a similar issue that I am. As much as I love to hear about how women became moms, I also love to hear things that work for them as mommas. I learn so much from each momma I talk to. I am always trying to find new ways to teach my kiddo. That is a huge reason why I love the Fit4Mom community because it is just that, a community of woman that are there with you and going through the same thing with you. I am so grateful to have found Fit4Mom so early in our tour here in the DC area you ladies rock my socks.